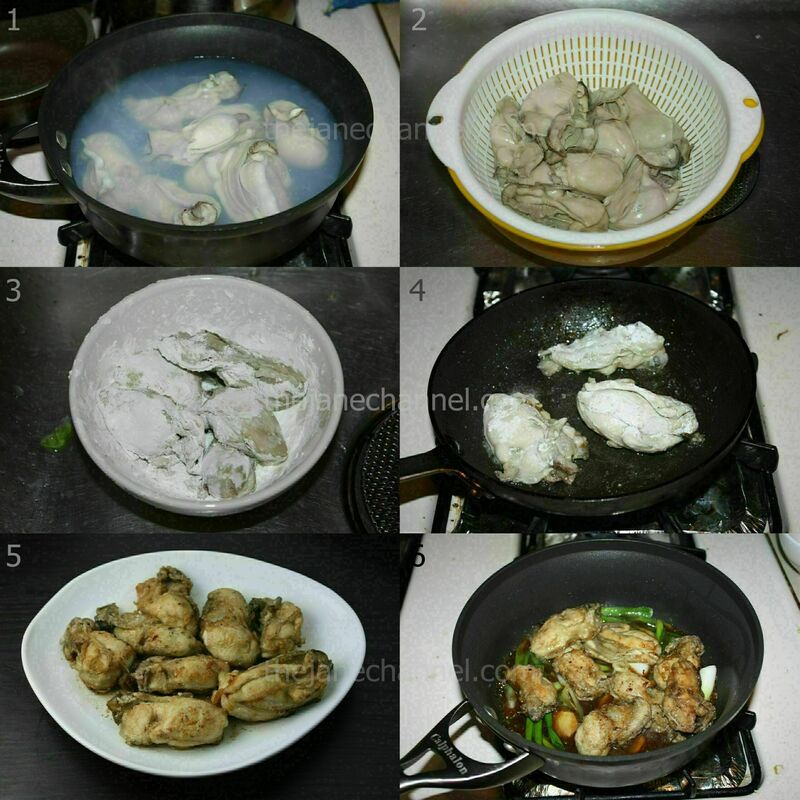 Oysters with ginger and scallions is one of the most common way to prepare oysters in Chinese cuisine. 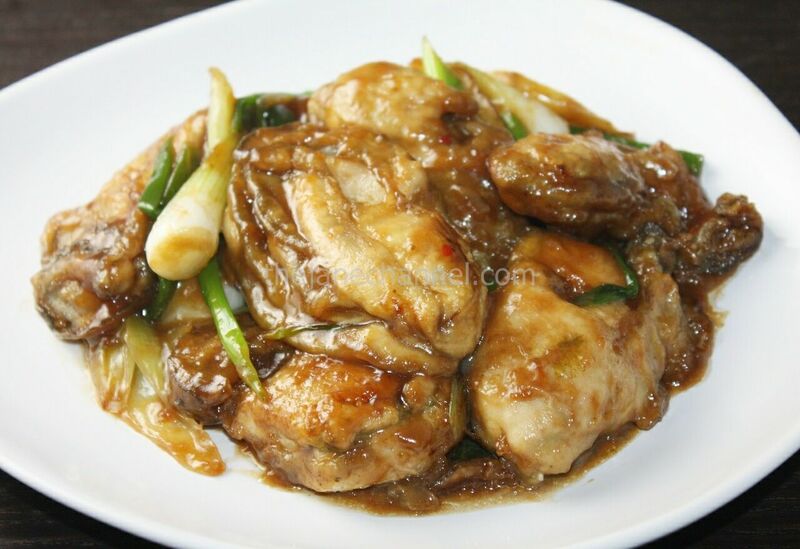 You can probably find this dish on the menu at most Chinese restaurants, but there are several advantages to making this at home. First, restaurants tend to deep fry the oysters, making them overly greasy. Secondly, they tend to overuse corn starch in an attempt to make the oysters look bigger than they are. Fresh oysters have great natural seafood taste, so the best way to prepare them is have just a small amount of seasoning and accompanying ingredients so as not to mask their true taste. The oysters used for this dish should be medium to large sized. Larger oysters also make it easier to make crusty outside with a moist, perfectly cooked interior, while smaller ones tend to dry up easily and have a larger portion of chewy parts. In a small bowl, combine all the sauce ingredients. Set aside. I’ve made your recipe with delicious Chesapeake oysters at least three times. It’s wonderful! Thank you! What kind of oil do you fry the oysters in and how much? Hi Patti – I used canola oil. About 1 tablespoon in total for all 8 oysters. (I cooked 4 at a time, 1/2 tbsp. each time). I loved this recipe! I will double up on the amount next time to have a larger portion. This recipe is definitely for the oyster lover. I had to drive 16 miles to an Asian grocery store to find the Shao Xing wine, and it absolutely made it worth the drive.